Unlike a wedding, there is no rehearsal for a funeral! There is only one opportunity to get things right. 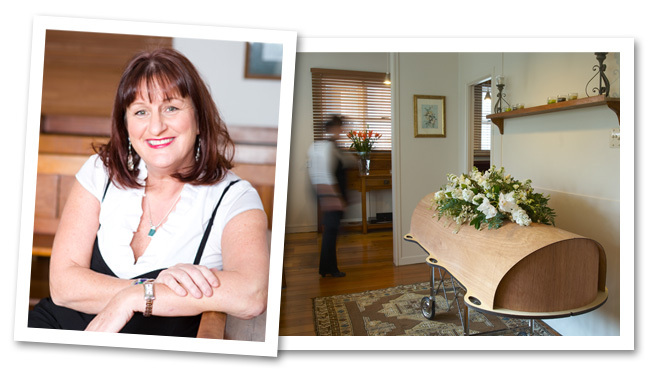 Having spent the last thirteen years as a funeral director, Martha-Louise Asmus of Manning Funerals is well aware of this. Her attention to detail ensures nothing is overlooked, and the family has no regrets. “I will do anything to facilitate your funeral service wishes, provided it is legal and doesn’t compromise the dignity of the person I am caring for”. No matter how organized or prepared a family may be, all of their plans can go out the window at the time of a death. Funeral arrangements – through the sheer volume of decision making – can overwhelm anyone and for this reason, Manning Funerals advocates individuals have funeral plans in place to provide clarity about the deceased’s wishes. Manning Funerals welcomes enquiries from people wishing to put in place their own funeral arrangements, or those of others. Available to transport the deceased from the funeral home to the funeral service and then on to either the crematorium or cemetery.